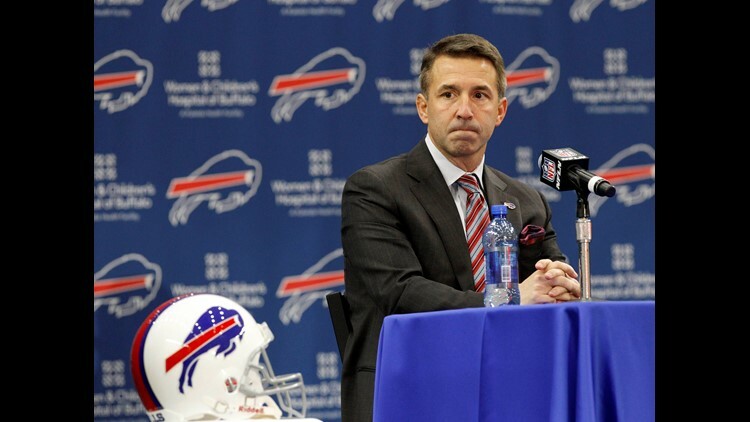 Despite reports that the former Bills and Pegula Sports and Entertainment executive, Russ Brandon, was hired by New Era Cap Company, the company released a statement Tuesday afternoon saying that Brandon has not been officially hired by the company. BUFFALO, N.Y. - Russ Brandon does not have a new job with New Era Cap Company. "Good afternoon. New Era Cap would like to clarify that Russ Brandon has not been officially hired by the company. While dialogue did occur between the parties, such discussions did not fully materialize. New Era Cap’s leadership team has worked with Russ Brandon for many years and these conversations were simply an outcome of that ongoing professional relationship. Thank you." Online sports publication The Athletic reported that two sources confirmed to them that Brandon had been hired by the company.